The charming Laurel Avenue addition that APEX Construction Management will feature in the Parade of Homes Spring Remodelers Showcase this weekend (March 23-25) is unique among the 63 projects on display during the tour. We hope you will visit the home, not so much because you want something just like it, but because you don’t. At a time when many trendy makeovers look so familiar and cool, the 1660 Laurel Ave. addition is a decidedly different and heartwarming reminder of an era when life was simpler. The point is, APEX loves different. The owners, Richard and Shirley Erstad, view homes as “durable goods.” Most importantly, they believe remodeling should build on the past, not erase it. APEX’s John “JB” Biancini truly listened (no small feat for someone who is profoundly deaf). He worked with designer Carmin Meyer, Project Manager Matt Grudzielanek and the homeowners themselves to deliver the period perfect environment while hiding modern conveniences in plain view. Indoors or outside you will be hard pressed to identify where the old house ends and the new addition begins. But the homeowners certainly appreciate the difference a larger kitchen, new main level bath, improved entry and basement laundry make in daily life. The remodeled space incorporates a new bank of Marvin windows that overlook the picturesque backyard, custom cabinetry from Modern Design, a custom commercial tile floor, and salvaged art glass, entry door, balustrades, and plumbing fixtures. There even is a functional antique wall phone! 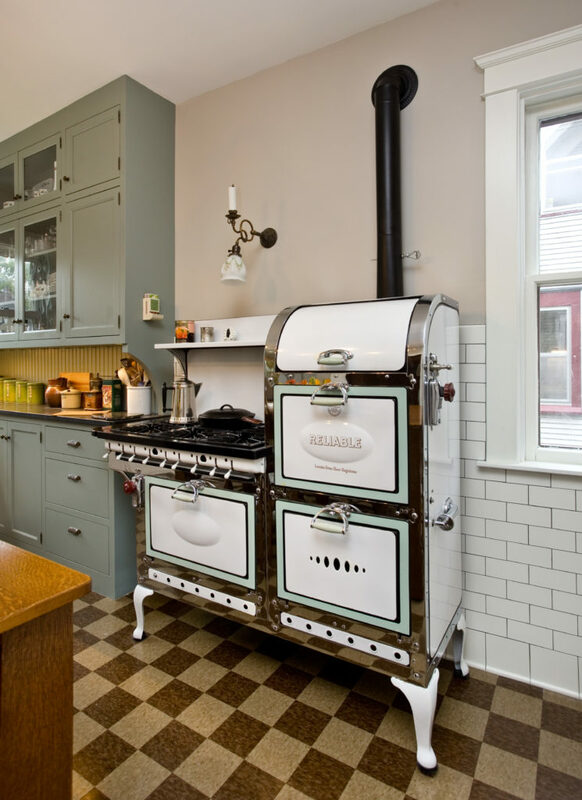 The kitchen features a fully restored, eight-burner, three-oven circa 1920s Reliable gas stove and 1930s GE Monitor refrigerator. 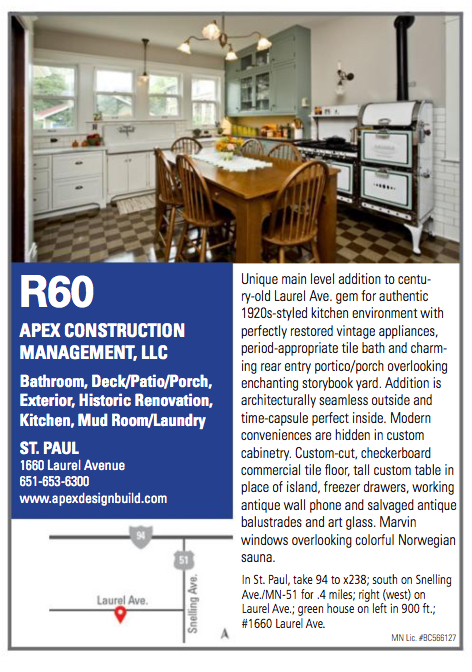 The acclaimed APEX remodeling of the 1912 home already has generated plenty of attention leading up to the home tour. 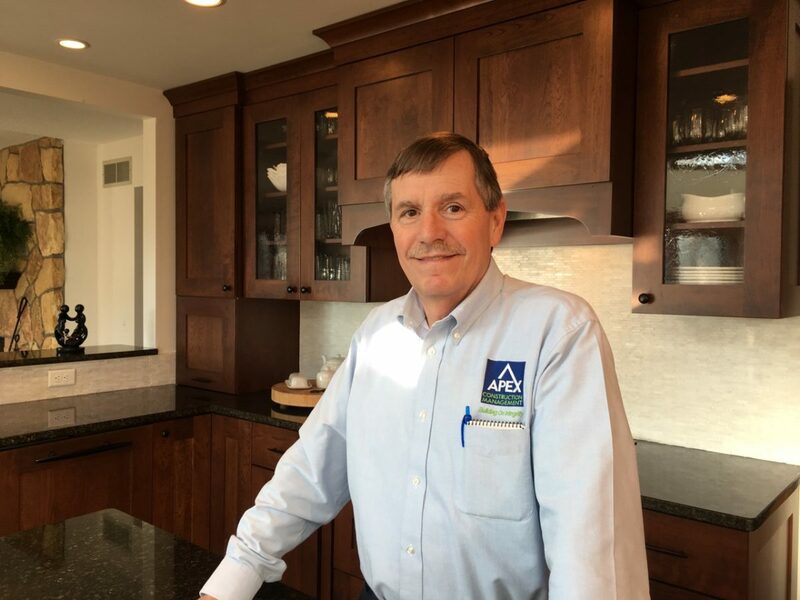 Last November, the National Association of the Remodeling Industry (NARI) named APEX Minnesota Contractor of the Year (CotY) for additions up to $250,000. Then the industry group chose APEX last month for the best addition in its nine-state North Central Region. The project is a finalist for the national title next month. 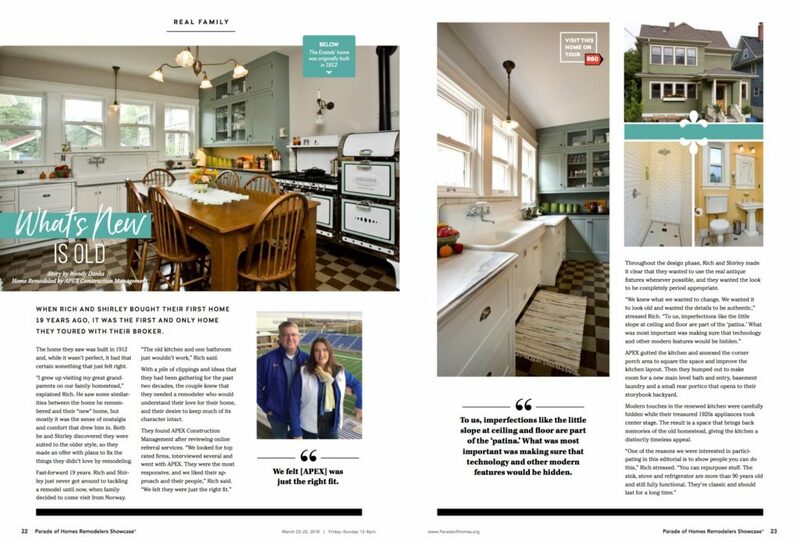 Finally, the Builders Association of the Twin Cities (BATC) is featuring the project in an editorial spread (page 22-23) in the Parade of Homes Remodelers Showcase guidebook publication. The project is R60 in the Remodelers Showcase guidebook. The home will be open to visitors from noon to 6PM Friday through Sunday. For more information contact APEX at 651.653.6300 or jb@apexdesignbuild.com. Many remodeling projects are similar. This one was anything but. It also was one of the most rewarding and satisfying challenges APEX faced all year. Vintage stove in kitchen addition. Start with a beautiful 1912 St. Paul Victorian on a tight lot with no open access from the alley. Then add accomplished DIYr clients who envisioned an authentic environment for vintage kitchen appliances they had been collecting and restoring for years. Finally, bump out to improve the kitchen layout and add a mudroom and bathroom without encroaching on their storybook backyard. Oh, and the “new” space needed to blend seamlessly with the old so you would never suspect it wasn’t part of the original house. None of this was a problem for APEX because JB prides himself on listening (okay, reading lips) . He’s also good at assembling the perfect team to execute the clients’ remodeling vision and overcome unexpected obstacles, which are as common as sloping floors in historic homes. And he has the processes in place to manage complex projects. Truth be told, the real stars of this project are the clients themselves, Rich and Shirley. Rich is an attorney who appreciates that details matter and who happens to be a heck of a woodworker, painter and eBay/CraigsList shopper. Shirley is an avid gardener and executive director of a nonprofit that supports parks and trails. Richard said something to me as the project drew to a close,“Houses are durable goods.” He feels remodeling should improve upon the past, not erase it. That’s why the kitchen has three types of cabinets, marble and granite countertops, and millwork profiles that matches the rest of the house. The vintage appliances are extraordinary, but my favorite feature is the bank of four new windows that look out over the Secret Garden with its colorful sauna and plantings. The Jorrisens turned a nightmare flood into the motivation they needed to obtain their dream kitchen remodeling last Christmas. They are living proof that our attitude toward events, not the events themselves, is what defines our quality of life. That and a little help from APEX Construction Management. 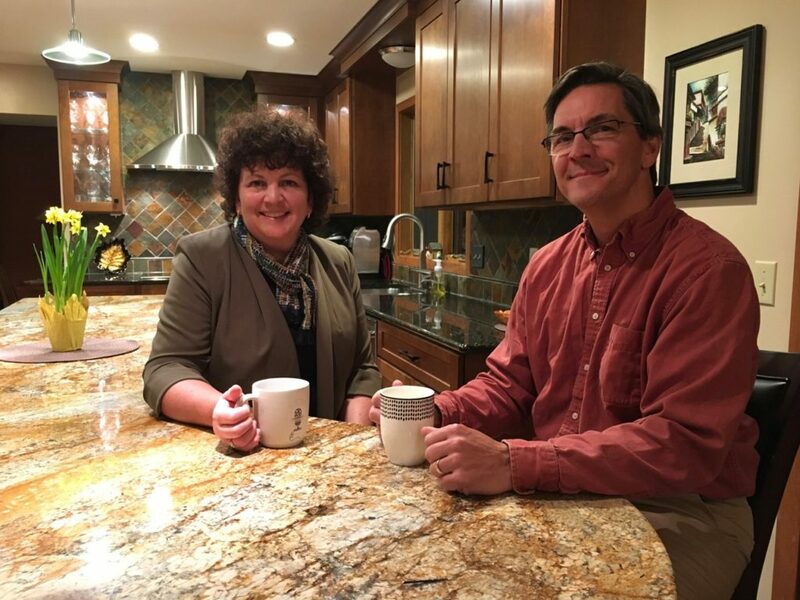 Steve and Marie Jorrisen enjoy their APEX Construction Management kitchen. The Vadnais Heights couple had already updated their kitchen’s counters, backsplash and cabinet hardware several years ago. They were planning to overhaul the space after their son finished college. But when they returned from their cabin last October and discovered a plumbing leak had soaked through the laminate flooring, the timetable got a jolt. As ServiceMaster removed the base cabinets to address the water damage, they agreed to seize the day. “There was no way those 1987 honey oak cabinets were going back in,” Marie recalled. Most major kitchen remodeling projects take at least a month to plan and families prepare to set up temporary kitchens during the work. The Jorrisens didn’t even begin to think about the project until the cabinets were out. They chose APEX Construction and Hearthwood Kitchens to design and build their new kitchen. APEX completed the project in time for their dozen family members to christen the new space on Christmas Eve. While APEX and Hearthwood’s Angie Cote worked hard to meet the holiday deadline, they credit the Jorrisens for their own contributions. For instance, the couple taped off the dogleg island profile on the floor to make sure they would be comfortable with the width of the traffic zone. They also had the idea to replace the left opening French door with a right opening sliding patio door to eliminate an awkward choke point at the porch. Perhaps the biggest challenge was that APEX had to build the new kitchen around the diamond-pattern backsplash the couple had personally installed during the earlier facelift. That required meticulous attention to the height of the new luxury vinyl floor, transition to adjacent rooms and the ceiling-height upper cabinets. Best of all, the insurance claim offset some of the cost of the major kitchen remodeling. Bonus: the family got a Christmas present it will never forget and continues to enjoy all year long. APEX strives to deliver great client experiences, one project at a time. What better way to demonstrate this than to let you hear directly from a couple of homeowners who recently chose APEX to enlarge and remodel their kitchens. One project was near Stillwater, the other in Burnsville. We hope you enjoy these videos. Please contact JB to share your own remodeling dream. Each year, Remodeling Magazine publishes its Cost vs. Value Report that benchmarks the cost of typical home remodeling projects and how they might impact the home’s resale value. It’s a handy reference if you are wondering how much more a project will cost you this year compared to if you had completed it last year. Hint: it seldom costs less. It also is useful to avoid over-improving if you plan to sell your home in the next couple of years. 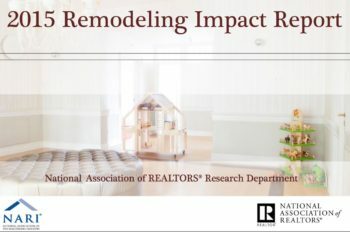 This time, the National Association of the Remodeling Industry (NARI) also teamed with the National Association of Realtors (NAR) to produce the Remodeling Impact Study, which may be even more valuable. While Cost vs. Value measures financial payback, the Remodeling Impact Study assesses appeal and enjoyment. In other words, how much will the project enhance enjoyment of your home, and how will the improvements influence your home’s desirability in the real estate market? Not surprisingly, the projects that are best at holding dollar value seldom are the ones we truly love. 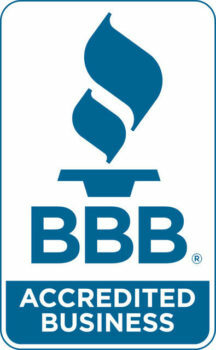 Exception: Replacing a worn or damaged roof is worth more than it costs and is highly recommended by Realtors. Apparently, we all appreciate the value of staying dry. And both home inspectors and insurance carriers are quick to flag faulty roofs. The Remodeling Impact Study found that 3 out of 4 of those surveyed wanted to spend more time in their homes after remodeling and more than 9 in 10 were happy or satisfied with how their projects turned out. Although our homes often are among our most valuable investments, they are much more. With the rise of Millennials, a recent report found that life is more about experiences than things. Homes form the backdrops of many life experiences. How does someone who enjoys cooking or entertaining put a value on an updated, open floor plan kitchen that’s integrated with an outdoor living environment? 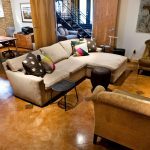 When a family loves its neighborhood but need more space, what’s the real worth of refinishing the basement or tastefully adding on? And don’t forget the Kodak moments (make that iPhone snapshots) that will be preserved in digital photos for generations. Please contact JB at APEX Design Build (aka APEX Construction Management) to discuss your remodeling needs. The Remodeling Impact survey found that a new bathroom, complete kitchen remodeling and master suites are the top three “Joy Index” interior projects. Meanwhile, Realtors are most likely to recommend a kitchen facelift, bathroom remodel and hardwood floor refinishing to prepare an older home for resale. John “JB” Biancini in North Oaks kitchen he remodeled. APEX Construction Management (APEX Design-Build) understands that your kitchen is the heart of your home. It’s the one space in your home everyone calls theirs, so it needs to work for multiple people and serve multiple purposes. The APEX philosophy on kitchen design is summed up in one short statement, “Builders design kitchens for houses. We design kitchens for people.” Your kitchen needs to be a perfect fit for the way you use it every day. Workflow. Good design takes into consideration many factors including how many people tend to be in the kitchen at the same time. You need room to work and your family and guests need space to socialize. Be sure the counters, island, range, and refrigerator all work together. The work triangle is a key design element that ties together the sink, the range, and the refrigerator. Counter Space. Most people who regularly cook and entertain in a kitchen will agree there is no such thing as too much counter space. Whether you’re preparing a meal or setting up a buffet for your son’s hockey team dinner, having extra counter space makes time in the kitchen more organized and calm. Storage. Another factor in keeping things calm in the kitchen is having enough storage space. Pots that are continually falling out of the cabinets or drawers over flowing with unorganized kitchen gadgets make things more stressful and increase your meal prep time. There are so many exceptional features in cabinets today, it’s possible to make the most of every square inch in a kitchen thus making a space for everything so everything can have a place. Lighting. If you can’t see, how can you cook? Even if your eyesight is 20/20 it’s still nice to have proper task lighting to read a recipe, measure a quarter cup of something, or to make sure all the crumbs are dusted from your counter when finished for the day. Flooring. Some days in the kitchen are longer than others. Be sure your floor is friendly to your feet and back. Luxury Vinyl Tile (LVT) has become a very popular choice for kitchen flooring. This product looks like wood or tile, but gives you the benefit of a softer and warmer surface that helps reduce fatigue. LVT flooring also helps prevent some items from breaking items if they are dropped. Power Sources. Outlets are important! Think of all the extra small appliances you use when you’re in the kitchen. Hunting for a power outlet will make whatever you’re doing more time consuming and frustrating. Ventilation. Having proper ventilation in your kitchen is a must! The fish you made on Monday smells terrible the next day when it’s still lingering in the air. Things to consider when purchasing a range vent include; a) Will the range vent exhaust straight up, out the side wall, or is it a downdraft unit? b) The vent must be installed properly, including providing sufficient make up air to meet code requirements if the output is greater than 300 cubic feet per minute. c) The physical size must be equal to or wider than the range that covers. d) How loud is it when turned on? Ready to start your next remodel? Call us today to get started!